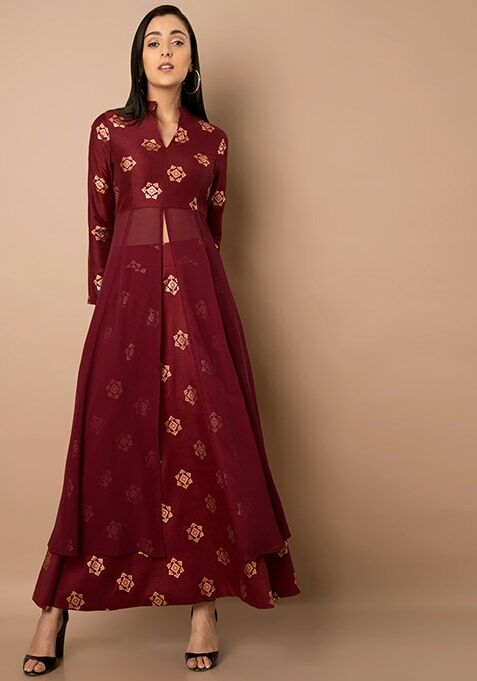 A perfect maroon tunic for serving a number of purposes from festive celebrations to weddings. Need we say more? Features foil print, high slit and cut out back. Work It: Team this tunic with matching trousers and slip into a pair of heels to look stunning.